Flip a coin. If heads, the Defending Pokémon is now Paralyzed. 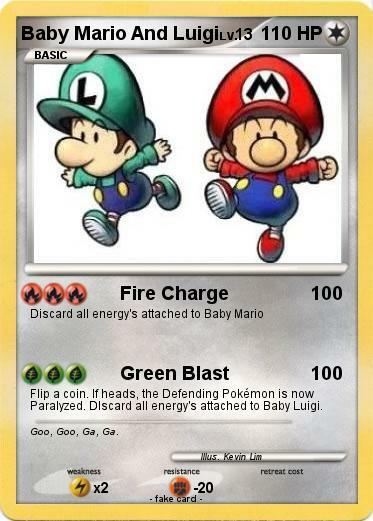 DIscard all energy's attached to Baby Luigi. Comments : Goo, Goo, Ga, Ga.